Hi all! 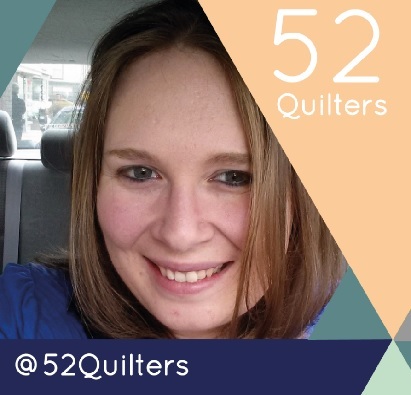 I'm Jessica Skultety of @quiltyhabit, and I'm thrilled to be on 52 Quilters this week! I've got an exciting week ahead on Instagram, including my coverage of the third annual Mid-Atlantic MOD Quilt Retreat in Lancaster, PA - where five Modern Quilt Guilds will meet to sew together for 4 days! 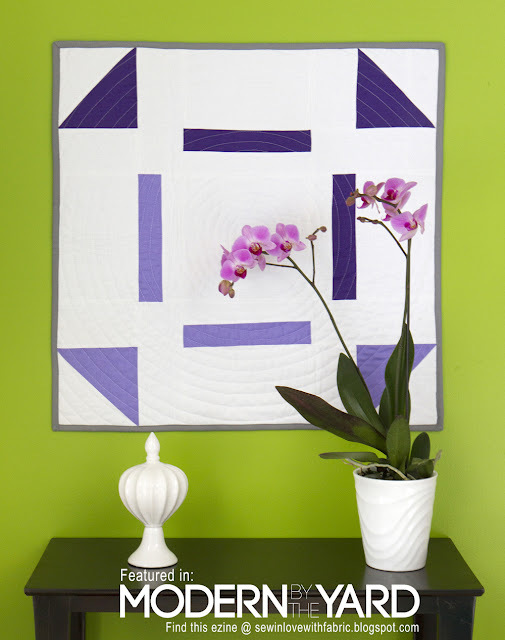 I'm a self-taught quilter of 6 years who leans towards the modern traditional/modern spectrum of quilting. I free motion quilt all of my quilts on my domestic machine, a Janome Memory Craft 6300. I'll be sharing more later this week about why I love quilting my own quilts! 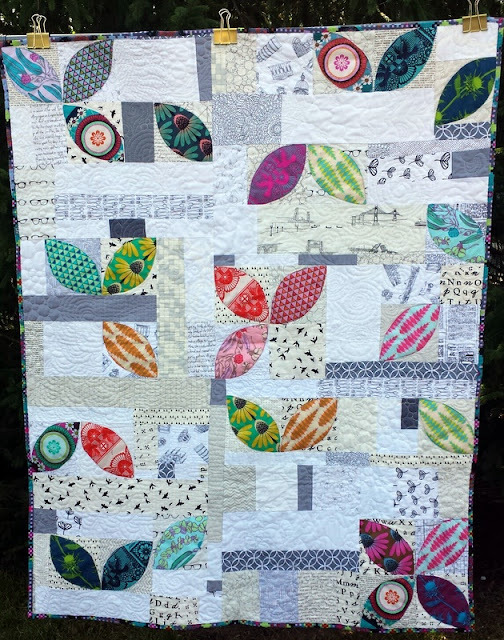 I also enjoy writing and the online quilting community - I married those two together to start my bimonthly modern quilting newsletter, The Wonky Press. I also just finished up two fabulous years as President of the Central Jersey Modern Quilt Guild, and now I’m focused on lecturing about modern quilting, teaching classes, and developing patterns. My first pattern, Deconstructed Churn Dash, is in the free Modern By The Yard e-zine! I quilt because it's everything to me. It's become a necessity in the last couple of years when I've gone through some pretty tough stuff (job searches and long term family illnesses). Quilting has become my coping mechanism for most stresses in my daily life, and I make it a priority every single day. I'm simply a happier person! Plus, I LOVE color, fabric, and improvisation - I'm happy to indulge in any of those three things. I'd love to share a couple of my favorite quilts with you. The first are the quilts that got me started making lots of orange peel quilts and teaching sewing classes! I love applique, saturated colors, improvisation with a plan, and free motion quilting - these quilts, which are inverses of each other, are very "me." The last favorite quilt is our wedding quilt, Dresden Rainbow, which I made over the course of three years. I started sewing the Dresden plates when my high school sweetheart and I got engaged in 2010. After our wedding in 2012, I made the central plate and embroidered it with our wedding date. You can really see the evolution of my fabric tastes (my fabric choices get bolder and more saturated!). The back is our wedding guestbook. This quilt lives on our bed for some of the year. It's the one I would grab if there was a fire. If you'd like to read more, I wrote the whole story of this quilt here. I love IG because it's easy outlet for social interaction, and for the ability to show a sewing process as it happens. I love blogging even more, and I post there 2-4 times per week about works in progress and finishes, plus Top 10 Tips lists, tutorials, and editorials about sewing. Cheers! See you on Instagram!